We are well recognized in the market for offering superior hologram sticker manufacturing solutions. As a leading supplier based in India, we ensure that the holographic security seals offered by us help in achieving desired goal of security against counterfeit and tampering to all the products where these are applied. These seals are type of self-adhesive labels that are made on metalized polyester film. 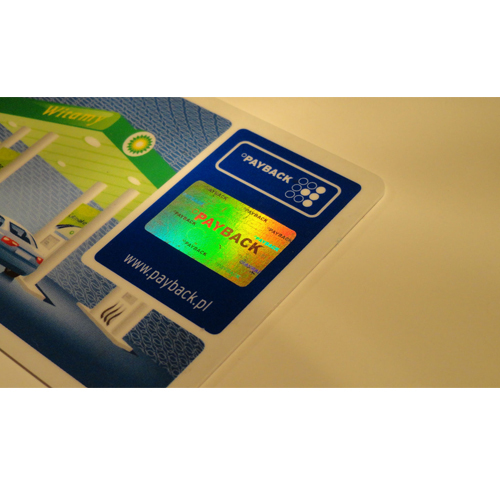 With these type of holographic security seals generally used for authentication of valuable documents and branded products, here our expertise lies in offering these holographic seals made on metalized polyester film with customized design options. The Holographic images used can include high resolution dot matrix in combination with 2D/3D three dimensional holography. Here, dot-matrix effect has strong movement effect of Holography grading. 2D/3D Holography also has good depth of Holography image. This allows hidden text to be read by laser reader. In these Holographic seals, there's word 'GENUINE' on tape. Its 2D design with GENUINE has one layer Holography image which is on surface. When this Holographic seal is removed, it leaves word 'VOID' on surface. Chrome security labels offered by us are manufactured from polyester and features use of permanent acrylic adhesive. This ensures that in cases where Holographic seal is removed, the checkerboard pattern is left on surface. Further, the metallic foil that is on the backside of these labels is conductive to electricity, thus precautions should be taken when used with electrical devices. The pattern released word can be 'VOID', 'ORIGINAL', 'CANCELED'. Further, it can also be in other customized design. These Holographic seals can be incorporated with security elements so as to protect brands against possibility of counterfeiting. 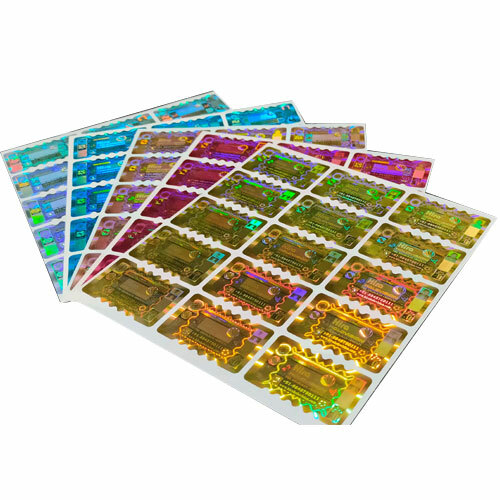 Further, the Holographic security, visual elements as well as customized designs can also be incorporated in hologram seals that are made available in multiple color options. Here, our expertise lies in offering the range on both reel form like continuous metalized polyester hologram strip that is coated with pressure sensitive or heat transfer adhesive (depending on application). The latest range of holograms offered by us come incorporated with special features that further enhance the security levels. Finding usage in diverse industries for security as well as branding applications, these solutions are also easy to apply. Further, the use of superior adhesive on these hologram stickers also makes them tamper evident. With possibility of usage on various substrates, any possible tampering attempt can be easily identified as stickers cannot be removed without them getting destroyed.